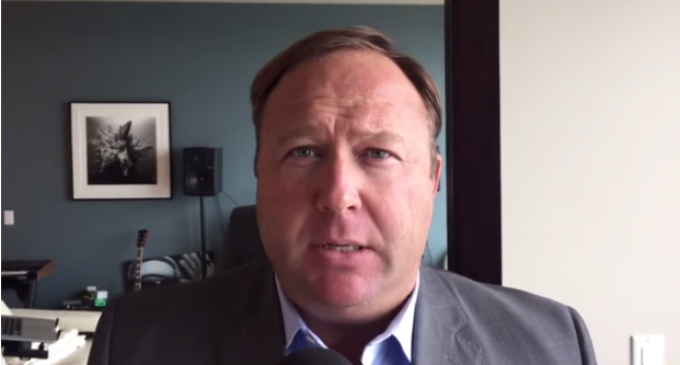 Jones Issues “Emergency Alert”: Global Elite Are Abandoning U.S.
Alex Jones of Infowars is a well-known conspiracy theorist, but that just makes his surprise announcement more compelling. He has issued an emergency alert claiming that he has had calls from two “extremely prominent, wealthy people” asking him why he isn’t leaving the U.S. before October. Jones says these two individuals told him high-ranking military officials and other insiders have already left the country. Watch the video clip after the break and decide for yourself. Yes Eddie I understand what you are saying however just because a man exposes the corruption in our government doesn’t mean he is inciting violence it just means he’s informing the people. That’s just my opinion. Ya thanks to Obama . He has bean snubbing the world leaders for years .